We invite you to a monthly conversation around a good book each month, on the third Sunday, at 4:30 PM in Trotter Chapel. We is suggested that you read the book in advance if possible. Each month we'll read a different book. 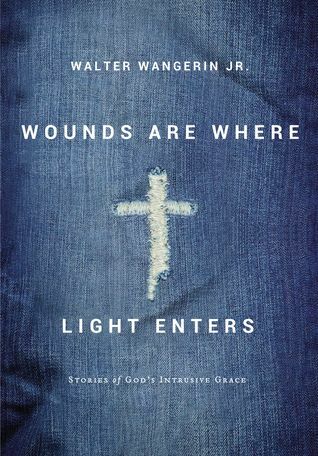 Wounds Are Where Light Enters, Walter Wangerin, Jr. In Wounds Are Where Light Enters, you’ll see how God’s love breaks into our lonely moments in unexplainable ways. Wangerin tells the stories of memorable characters facing the same struggles we all face as we try to trust in God’s faithfulness.